Branchial arch 2 is a transient facial anatomical structure which includes: neural crest, mesoderm, endoderm and ectoderm cells. Neural crest progenitor cells from this region will form the hyoid and some of the middle ear bones. 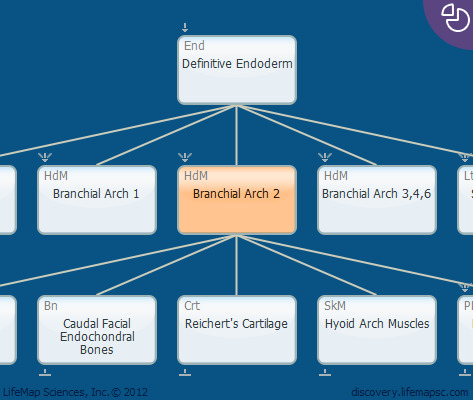 Branchial arch 2 appears as pairs of mesenchymal structures during the fourth and fifth week of human development.